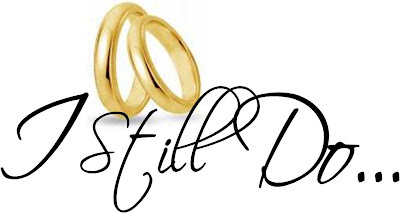 The following document was produced by NZ Christian Network’s discussion group on marriage. Readers are invited to use it in their churches, ministers networks, or ministries, and to make comments below. The passing of the Marriage (Definition of Marriage) Amendment Bill in April 2013, and the evidence of declining marriage numbers over the past 30-40 years, have been a cause of increasing concern for many people in New Zealand. This paper addresses what is needed to build or rebuild a healthy marriage culture in New Zealand. The following ideas are presented for your consideration, and if acceptable, for action. The Church has a responsibility to be involved in this issue not only to seek the wellbeing of society (c.f. Jeremiah 29), but as a witness to the ways of God and the difference God makes in people’s lives. This will involve a double approach, both promoting marriage within Christian communities and working with other community groups to develop strategies for encouraging healthy marriages and recapturing the importance of marriage. A working group will develop these plans, and facilitate communication and action. Such a group might include representatives of the community concerned about the decline of marriage, academics, theologians, pastors, and practitioners. As a starting point documents will be prepared explaining the essence of the current crisis in marriage, outlining some of the key benefits stable marriages offer to society, and a clear theological explanation of God’s plan and purpose for marriage. The papers will have input from appropriately qualified people, with the intention of gaining endorsement from a wide range of church and community leaders. Within the Church, the working group will aim to encourage Christian leaders, pastors and ministers, to preach and teach regularly and sensitively on the topic of marriage, recognising the many pastoral issues involved, and taking opportunities to celebrate marriage within local churches. Where possible such celebrations would engage local communities more widely, engaging other community leaders in the discussion and seeking their input. Marriage Week (7-14 February, ending on St Valentine’s Day) presents a special opportunity to celebrate marriage not only in New Zealand, but with others around the world. Significant resources (research, books, audio, video, conferences, and speakers) will be identified and promoted through all levels of church leadership. These will cover a range of topics including marriage preparation and enrichment, as well as how to respond when marriages go into crisis and threaten to fail. All levels of church leadership need to be engaged in this endeavour from national denomination leadership through to local church small groups and ‘grass-roots’ Christians. The working group will therefore develop a broad-ranging communication strategy involving personal meetings, articles in magazines, websites, emails, social-networking, and broadcast media to engage the widest audience possible. Our goal is to see a significant reversal in the marriage and divorce stats, both within and outside of the church, and to see marriage re-established as an important and desirable institution in our country. We invite readers to sign the Christian Marriage Commitment below, and continue receiving information distributed from the Healthy Marriage Working Group. Because marriage is a gift of the Creator, uniting a man and a woman, and affirmed by Jesus himself, intended for the birth and nurture of children and for building up human families in mutual support and care, it is a lifelong commitment. Such marriages generate growth in oneness of heart, body, and mind and provide stability to family life, so that children are cared for lovingly and grow to full maturity. In this way marriage is foundational to a good society. Download a Christian Marriage Commitment certificate here.